Brief Synopsis – A hunter accidentally kills a young woman which leads him to a bag full of money and a lot of problems. My Take on it – This is a film that gives us a very interesting premise that just isn’t presented very well because it is all done too strangely. 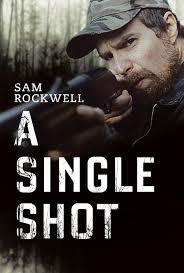 As always, Sam Rockwell shows how great of an actor he can be with such a low-key kind of role but even he is stifled by the meandering script. The rest of the cast is also quite talented but no one is given an interesting enough demeanor that the viewer should really care about them or what will happen to them along the way. Th story moves along much too slowly and that also hurts the impact of this kind of story because it just doesn’t work well enough. The characters all seem like country bumpkins and that doesn’t allow for any of them to feel sympathetic enough for the viewer to care about them or their situations. Despite a talented cast, none of them are given enough to do and there are way too many scenes that drag along too much which also takes so much away from this story because some of the scenes are just so boring to watch unfold. Bottom Line – Interesting premise that is presented in a strange way. Rockwell is great in the lead but the story moves along so slowly that it’s hard to really care about everything that is happening. The characters all seem like country bumpkins and that also hurts any kind of impact of the story since no one is really sympathetic along the way. This film has some talented actors in key roles but the script doesn’t allow them to do anything that would help make this story feel much more enjoyable and instead there are too many scenes that drag along and come across as being quite boring.